(P1) On the face of it, the living is good in Ozersk, Russia. The 100,000 people living in the city tucked in the Ural Mountains have always had plenty of food, private apartments, well-regarded schools, and good healthcare, even when the rest of the country lived in poverty. However, there are a few downsides for locals, the Guardian reports: “Their water is contaminated, their mushrooms and berries are poisoned, and their children may be sick.” Ozersk, or City 40 as it was first called, is where the Soviet Union’s nuclear weapons program was born. In the 70 years since the city was secretly built around the Mayak nuclear plant, its residents have been victims of nuclear accidents; waste from the nuclear plant is dumped into local lakes and rivers. If you were a resident of this closed city, would you want to continue living there? Why or why not? Should the city be relocated away from the nuclear plant and waste? Why or why not? If you had the opportunity, would you visit this city? Why or why not? How many residents live in Ozersk? 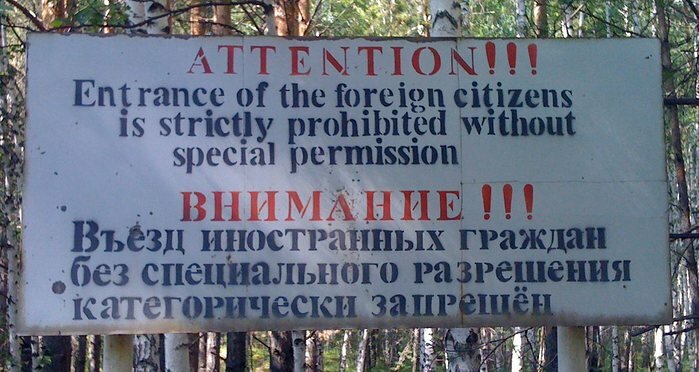 Where in Russia is the closed city located? What’s wrong with the berries and mushrooms?